CITES, the international convention on trade in endangered species, reports that elephant poaching is trending down in 2016. That estimate is based on several sources of information including MIKE, (Monitoring the Illegal Killing of Elephants) and IUCN (International Union for the Conservation of Nature). Elephant poaching. Commercial trading in ivory was first banned in 1989, but the worse declines in elephant population ac cross the thirty seven range states of the African elephant have occurred in the last decade due to poaching. The peak year appears to be 2011. Current levels are below 2008. CITES estimates that 110,000 have died in the last ten years. CITES says that poaching is certainly a dire threat to their existence, but human conflict and climate change are likely to constitute the greatest threat to the survival of the species; therefore, landscape planning to support our coexistence with elephants is absolutely essential. About 33 "development corridors" are planned or being implemented across Africa, and if completed, would extend 53,000 kilometers. 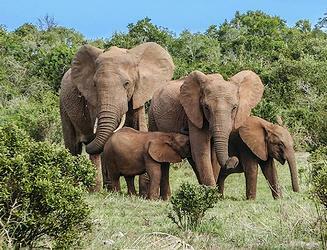 Such large scale development would certainly negatively impact elephant populations. The good news is that ivory seizures are up based on information reported by individual governments. Nearly 40 tons of ivory was seized in 2016, nearly three times greater than in 2007. Governments in market countries, notably China and the United States, have finally moved to enforce laws against trading in ivory. 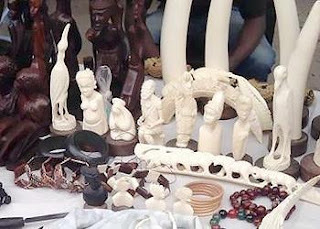 UK-based trade monitoring organization, TRAFFIC, says that while international enforcement is improving, it has not turned the corner on smuggling syndicates which are using innovative ways to carry on business such as reducing the size of individual shipments, and ivory processing at the source. [photo courtesy TRAFFIC]. The price of ivory has plummeted 50% in the last few years. An indication that the extinction of the African elephant was a bad hedge. CITES Standing Committee meets for the 69th occasion in November to discuss the conservation of threatened wildlife.